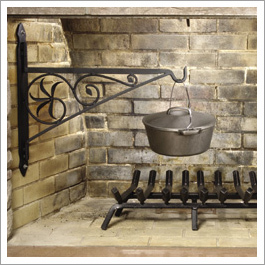 Commonwealth Chimney Sweeps in Harrisburg, PA offers top quality hearth accessories. Commonwealth Chimney Sweeps in Harrisburg, PA offers a variety of fire place products and chimney services to meet our clients’ needs. We offer quality products and follow safety methods during our installation procedures. Our goal is to protect your family and home from fires. We offer various accessories so that you handle fire with care. Let me know if you need a specific product to fulfill your needs. We can arrange it for you if it is not available in our inventory. Call us now.